Selamlar eğer DL 380 serisi serverlara Windows Server 2012 üzerine Hyper-V kurarken sorun yaşarsanız aşağıdaki ayarları yapabilirsiniz. Reboot your server and go into the BIOS by pressing F9. Selamlar yil sonu cikmasi beklenen Windows Server 2012 lisanslamasi hakkinda detayli bir kaynak. Today Microsoft is kicking off an exciting week at our Worldwide Partner Conference in Toronto. 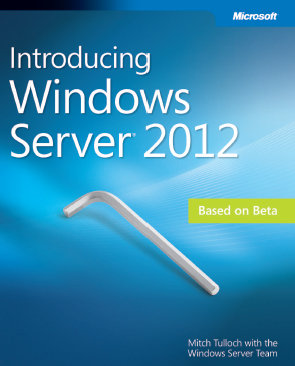 Windows Server 2012 will be a focus of attention at the event, of course, and it is nearing final release. In fact, at the conference we are announcing that Windows Server 2012 will be released to manufacturing in the first week of August. The code will be complete and we will begin delivering it to our hardware partners. Then, the product will be generally available to customers worldwide through multiple channels in September. Curiosity: why SharePoint and Lync, enter Exchange as eligible for the upgrade? Because for these certifications AD server expertise and is an integral part, though not the singular focus. Thanks for downloading Microsoft Windows Server “8” Beta. The next version of the product, Windows Server 2012 Release Candidate Datacenter, is now available. You can download the latest version from TechNet, which includes resources to take advantage of all the features of this pre-release version. Eğer sizde Windows Server 8 üzerine SQL kurarken .Net ihtiyacınız olursa ve Features dan yüklemede sorun yaşarsanız aşağıdaki komutu command prompt’ tan çalıştırarak kurulumu manuel yapabilirsiniz. Burdaki D sizin Windows Server 8 Medianızın olduğu yeri temsil etmektedir. Windows Server 8 RDS için yeni LAB lar yayınlandı. This topic contains instructions for setting up a test lab based on the Test Lab Guide: Base Configuration and deploying Remote Desktop Services Session Virtualization Quick Start deployment using two server computers and one client computers. The resulting Session Virtualization Quick Start deployment test lab demonstrates how to successfully deploy a Session Virtualization Quick Start deployment. This paper contains instructions for setting up a test lab based on the Test Lab Guide: Base Configuration and deploying Session Virtualization using two server computers and one client computer. The resulting Session Virtualization standard deployment test lab demonstrates how to successfully install and configure a Session Virtualization standard deployment. This paper contains instructions for setting up a test lab based on the Test Lab Guide: Demonstrate Remote Desktop Services Session Virtualization Standard Deployment and publishing and managing resources using four server computers and one client computer. The resulting centralized resource publishing test lab demonstrates how to successfully install and configure resource publishing.